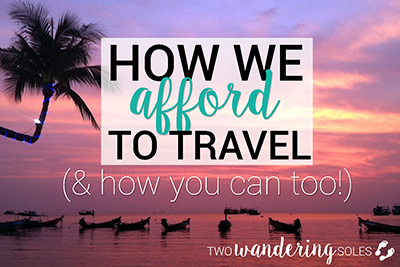 We keep getting asked by people back home and other travelers on the road how we afford to travel for so long. One big reason we're able to travel is because we each saved over $22,000 in one year teaching English in South Korea. But that money could be gone by now if we didn't have the resources and tools to sustain long-term travel. We've complied a list of the things we use everyday that allow us to keep going. From credit cards to travel insurance to apps for your iPhone, we have all the tips you need. Whether you're planning a long term trip or just a weekend getaway, these items can save you hundreds of dollars. To know more about what's in our packs, read our Top 12 Travel Items. Never pay an ATM fee again. That's right, NO ATM fees anywhere in the world! 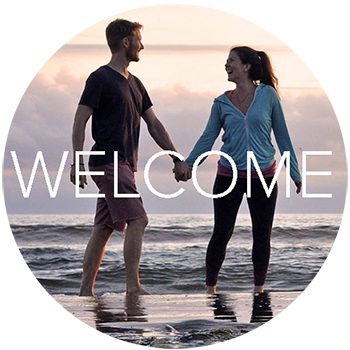 The Charles Schwab High Yield Investors Checking Account debit card is a must for any serious traveler because it's free to set up, there are no annual fees, and they reimburse any and ALL ATM fees at the end of each month. Whenever we enter a new country, we take out the local currency at an ATM. We've found this to be more convenient than currency exchangers, and more convenient than bringing currency from home. Some months we've been reimbursed as much as $50, and to date this card has seriously saved us hundreds of dollars. Tip: Be sure to take a picture of each ATM receipt so you have a record of the amount that your should be reimbursed. Not only do you get 40,000 bonus miles (equal to $400) after you spend $3,000 with the Capital One Venture Credit Card within the first 3 months, but you get 2% cash back on every purchase as well. With your points, you can literally erase your trip costs on your account. There are no foreign transaction fees so we use the card everywhere. It's the easiest and fastest way to get kickbacks for your travel expenses. Like the Capital One Venture Card, the Chase Sapphire Preferred Credit Card is great for international travel (no foreign transaction fees) but has an even bigger bonus. You'll receive 50,000 bonus points (equal to $500) after you spend $4,000 in the first 3 months. With the Chase Sapphire Preferred card you get 2 points for every dollar spent on travel and dining, and 1 point on everything else. When you redeem you points you get 25% extra when you use them for travel, which means that sign on bonus is worth $625! People always ask us what we do for cell service while abroad and there are a few options. When we’re in one country for a long period of time, it’s possible to get a SIM card in that country. It can require a little leg work and one of our phones doesn’t take foreign SIMs, but this is usually the cheapest option. Another option is to get service before you go! If you’re on a short vacation or hopping for a few different countries, the plan we’ve found to be the best deal is through T-Mobile. We’ve always thought the US is a bit behind the rest of the world when it comes to international coverage, but you'll be surprised to hear what T-Mobile has to offer. T-Mobile changing the game for international data coverage. Not only are they America’s Fastest Growing LTE Network, but the T-Mobile One plan also has 5GB of data at 4G speeds in Canada and Mexico. The same plan also has unlimited texting and data in over 140 countries at 2G speeds, but can double the speeds for just an additional $10 per month. Shop T-Mobile Plans here! Our favorite hotel search engine for Asia is without a doubt Agoda. They feature the best hotels at super affordable prices (sometimes up to 70% off the typical rate). Plus, they have a great breakdown for customer reviews, so you can see exactly what others before you think. Whenever we are up for a party or meeting other travelers, we search on Hostelworld for the most fun hostels anywhere in the world. Bonus: Most hostels have private rooms in addition to dorms, so you can get a social atmosphere AND privacy. If your looking for a homey experience or you want to split a place with a bunch of friends, AirBnB is where you should be looking. In some places around the world, you can rent an entire apartment for cheaper than a hotel room. Use this link to get $40 off your first booking. Try it out! Our favorite way to search for cheap deals on airlines is with Skyscanner. There are no hidden fees and it lays out all your options in the best way possible. Want to travel Europe but not break the bank? To get the cheapest Eurail pass, book through Rail Europe. It's the simpliest and easiest way to get your passes online. You can even buy single country passes if your not planning a huge Euro trip. All aboard! Kayak is a great resource to search many airline search engines all at once. Sign up to get price alerts for specific flights so you know you are getting the best deal. This is our go-to online resource for travel information. Lonely Planet has the most detailed descriptions and must see spots everywhere in the world. But our favorite feature is their "Thorn-tree" forums, which we find to be the most helpful anywhere in the web. Whenever we can't find information on a subject, we'll ask our question the forum and within hours, travel experts will shed light on our queries. Don't you hate it when you can't get to your favorite sites because of VPN issues? (For the non-techie person, this means that you are blocked from certain websites because of the country from which you are searching.) Say "Hello" to Hola and never get blocked again! It's easy and free to download and now you can go ahead and watch your Netflix and listen to Pandora without any issues. 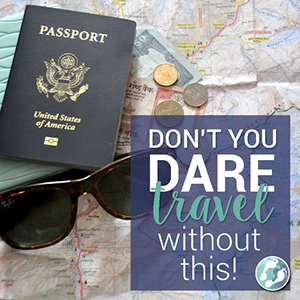 Don't you dare travel without insurance! (Here's why) World Nomads is a crowd favorite travel insurance company and is recommended by Lonely Planet. We picked up an extra policy from them to cover us when we went trekking to Everest Base Camp. We've used Allianz Global Assistance for years and have been very satisfied with our coverage. 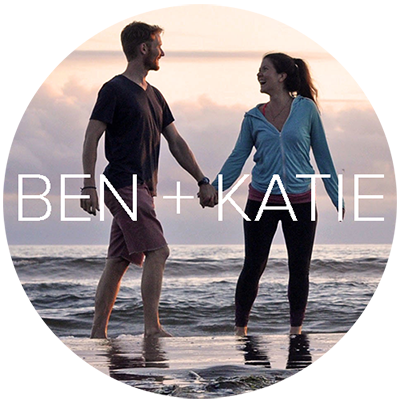 We currently have a year-long travel insurance policy for the two of us for only $79. This app is super useful for deciphering confusing menus in a foreign language or buying medications. Our favorite feature is that you can take a picture of text that is difficult to type (like Korean or Japanese), and Google Translate will convert the words to the language you specify. How amazing is technology?! Lightweight and portable, we use our ENO Hammock whenever we go camping or on shorter travel trips. It also makes a great gift for your favorite lover of the outdoors! We got ours as a wedding present, and it's seriously one of the best gifts we ever received. Proud users for over two years and not only has the Steripen kept us from getting sick, it has save us hundreds of dollars on buying bottled water. Mother Nature is pretty happy about all the plastic waste we've avoided too. We never leave home without these. Organize your clothes, toiletries and other gear in easy to grab cubes. They save tons of space and keep your bag from being a complete disaster! We love our Kindle Paperwhites. They're incredibly lightweight and have the ability to store tons of books, which makes traveling with them so great. Here's a great tip: Whenever we travel to a new country, we borrow the Lonely Planet guidebook (in the e-book version) from our local library for FREE! It's so much more convenient than lugging those heavy books around. Inquire at your local library about e-book loans. Nothing is worse than having your phone die when you get into a new city. This battery charger holds at least 7 iPhone charges, and can be used for Kindles, GoPros, and speakers. We're obsessed! On the road every day, our computers can take a beating. Luckily we found this bad boy. This hard shell, water resistant case are a lifesaver for any traveler. This handy little camera is best for action packed adventures, but is easy to use for every day videos as well. We have the Hero 3 Silver version, but are thinking of upgrading to the HERO5 Black version. Check out our epic hot air balloon ride video which we created only with our GoPro. Mifa is the best in the industry for portable Bluetooth speakers. It's splash resistant, dust proof and shock resistant, making it perfect for the beach or camping. Plus, it's super cute and comes in a variety of colors! Meet our friend "Platty". This BPA-free water bottle collapses down to nearly nothing when empty. This is perfect for hiking or camping trips as well as long travels. Invented by a mother to prevent her children from getting nausea, these pressure point wristbands really DO work. Katie wears them every time we take a long and winding bus or train and she has had far fewer motion sickness issues. No one likes carrying those dinky little 3-oz. tubes with a week's worth of shampoo. These all-natural biodegradable shampoo bars from Lush are made with essential oils and last about 3 months. (Ben says they smells great!) Don't forget to buy the container too! Much lighter than lugging lotion bottles around, this stick keeps my skin from drying out in the worst of weather. One bar, 18 uses. We are longtime fans of Dr. Bronner's biodegradable soap, but once we started traveling long term, we switched from the liquid to the solid bars because they're a bit easier to travel with. We cut ours up into small chunks and store it in a bag so that it lasts longer. They work extra well to do a quick hand wash of your stinky clothes. Ben loves to be prepared for anything and this "Swiss Army knife of first aid kits" has come in handy on more than one occasion. This is one of the best online purchase you'll find anywhere. If you purchase Amazon Prime for just $99 per year, you can store unlimited photos on the cloud so you're guarantees you'll never lose your travel pics. We're at 400 GB and counting. It's also great to store copies of important documents like passport pages, passport photos, insurance policies, plane tickets, and itineraries. We are so much more at ease, knowing that all of our important documents and pictures are backed up safely. You can purchase this universal adapter so that you're prepared to plug in your electronics anywhere you venture in the world! Don't forget a power converter. Most phone and computer chargers have built in converters, but you should alway check for voltage 100-240V. If it has a different voltage, you'll need to get a converter. These are mostly used for trimmers, hairdryers and some older camera battery chargers. Clunky pad locks are a thing of the past. Buy a set of these wire luggage locks and keep your stuff sealed in your bag, on a bus, or locked to a dorm room bed. The thin wire fits where chunkier versions don't, so you always know your valuables are safe. Add a few of these dryer sheets to every packing cube to keep your clothes smelling like fresh lavender or morning dew. You'll thanks us when you've haven't done laundry in a few weeks, but your clothes will be still smelling as fresh as a spring breeze. Playing cards are universal entertainment for all countries and cultures, and are the perfect way to make new friends. You can bring this set to the pool or the beach because they're waterproof. What is a buff, you ask? Dust shield, eye cover, scarf, sun protector, hair tie, sweatband, bicep highlighter... There are loads of uses for this clever loop of fabric. The tribe has spoken. Next to the buff, a sarong is the most versatile travel item we carry. It can be a swimsuit cover up, beach blanket, a towel, scarf, shoulder cover for temples, or a sheet for overnight buses. You'll need passport size pictures of yourself for more things than you think. From country visas to SIM card applications to even tour ID cards, there are so many reasons to carry plenty of these around. Store bought photos can be expensive, so we print and cut them ourselves on photo paper. During our long term travels, we started with about 20 pictures each. Do you use any of these items on the list? Do you have other great travel resource recommendations? Let us know in the comments below.